Over the course of the Easter weekend, we learnt of a big story in the Elite League. Milton Keynes Lightning and another club, who I won’t name here, were to join the top level of British Ice Hockey for the 2017/18 season. We drafted several versions of the story while the sources were verified (which they were), and myself and our digital content editor Michael Black debated the best course of action. This is the sort of story a site like ours thrives on, a big story that impacts pretty much every fan in the top two tiers, even if just in a small way. With a number of other clubs being rumoured, we could have been the first to break the news, surely the aim of any worthy news website. Having worked very hard to build active relationships with clubs this season, it was a no brainer from us to take the professional approach and ask the two clubs in question for comment. At 9.50, Michael spoke to a member of staff at MK who completely denied any knowledge of the move and that it was the first they heard of it. The response was similar from the other club in question, while we also checked out with the owner of the rink where the second team plays for a second opinion. Still keen to run the story, and knowing that our sources were absolutely watertight, we pondered the next move. Should we run the story in spite of what was said? Should we run an alternative story with the angle that “two clubs deny Elite League rumours”? Reeling from the denial from the club and wanting to get further, the decision was made to try and dig a bit further. I approached John Neville from Planet Ice via Twitter, knowing that he had followed me in the past. @jontynev8 Hi John, would you be able to provide an email address to contact you on regarding a story for @BritIceHockey? By now, it was pushing lunch time, and we still hadn’t run a story that was sure to gain us significant traffic to the site. Several conversations were had between Michael and I discussing the next move. As we waited for a response from a few calls, the announcement came that there would be big news from the Elite League at 3pm. HUGE Elite League news coming at 3pm. This was the first we had heard. No embargoed press release. No heads up as to what it might be. 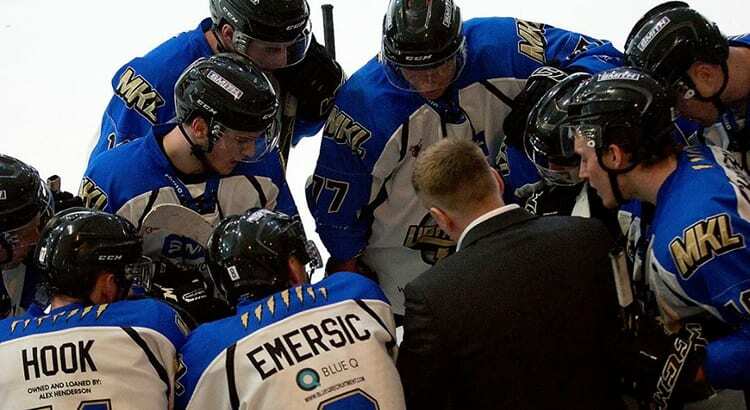 3pm came – Milton Keynes Lightning to join the Elite League. Welcome to the EIHL from the start of the 2017/18 season @MKL_Official. Great to have you with us. So within five hours of the club outright denying it, it was announced. Funnily enough, including a quote from John Neville. Now, it’s important to note here that we have nothing against the league being the first to break the news. That’s how it should be. But it’s a remarkable coincidence that the story is published merely hours after we’ve chased it up, including a quote from one person we directly reached out to, considering a senior club representative apparently knew nothing about it. It’s also not beyond the realms of possibility that our contact at the club may well have not been briefed of the event and it had gone above their head – if true, that also suggests that the announcement was rushed through as a result of our questioning. Surely, instead of leaving us in the dark, the correct approach would have been to professionally say yes, that is true, but as we are wanting to announce this on Day X, then we would appreciate it if you wouldn’t publish the story. After all, if we were going to go ahead and publish the story at our own leisure, we wouldn’t have contacted the clubs for comment in the first place. What if we had run a story including the club’s denials? And then hours later it was announced to be true. We would be left with egg on our faces. In fact, in some ways, that did happen. We carried an exclusive interview with EIHA chief Ken Taggart last week, where he said there would be no changes to the set up of the EPIHL. Now perhaps Ken wasn’t aware of the MK deal, but it was interesting to see a tweet directed at us, even if it was a little tongue in cheek. You should know by now Dave that those in charge either don’t know what’s going on or tell little white lies? @BritIceHockey no criticism of you guys meant……once again it shows how little some people either know or see how daft they will look ? 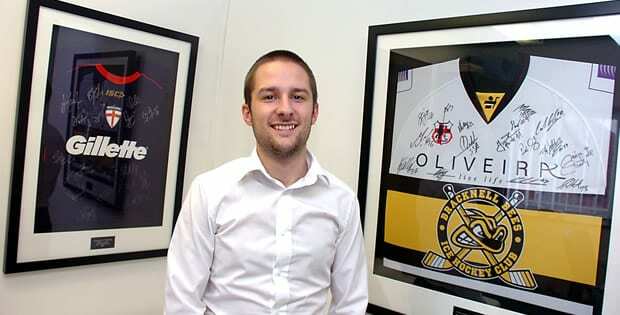 As it was, having had no heads up to the 3pm announcement, due to our wider editorial commitments, it was 5pm until the leading independent ice hockey website in the UK was able to publish this huge news, when we should have been able to have the embargoed announcement scheduled to go live when appropriate. Minority sports in this country bemoan the coverage they get. But if this is how they deal with the press, then it’s no surprise. Although our niche sites are hardly going to set the pulses racing within the respective governing bodies, it does unite the existing passionate fanbase and it almost gives them practice for dealing for the big boys – journalists from national newspapers, the BBC and the like. @jdgmedia Fair enough… But we have people like David Simms who always likes to show everyone he’s in the know! Trust is an issue. There appears to be a fear of dealing with us. As if we’re going to gain something from covering the sport. Let’s get things straight – I have ran Love Rugby League for more than 10 years. The priority of the sites is to serve the community and promote the sport, it certainly isn’t to make money (good luck with that). @jdgmedia The league do need to build some trustworthy relationships with the media to promote the Sport… I’m with you there! Are the governing bodies scared that a website is going to attract revenue away from the sport itself, even though the said site would invest the funds back in to covering the sport anyway? We aren’t cowboy fans with a blog. We are professional journalists working on this as part of a bona fide sports content business. All we ask for is respect. You’ll get the same from us.